My $500 Garmin GPS stopped being reliable. It turned itself off whenever it felt like it – most of the time when I was really relying on it. I was told that it would cost in excess of $150 to have it repaired but I’d had enough. I looked to other solutions. I purchased a smartphone for navigation upon arrival in Korea. As it turned out, it was the best gear swap-out I’d made in a long while. Smartphones make navigation a pleasure because the mapping is so easy and intuitive. I can quickly download detailed maps of any country in the world which are easy to zoom in and out of, move around, and create points of interest on. Smartphones are perfect for my navigational needs. How is a Smartphone Better than a Handheld GPS? They are SO much more user-friendly than GPS devices. One of the biggest drawcards of smartphones are their touch screens; pinch and zoom and slide the maps around with ease. 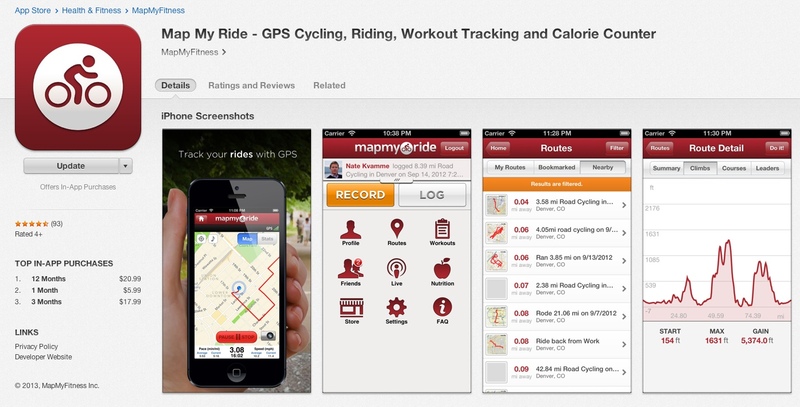 Mapping ‘apps’ are simple whereas GPS devices seem to be plagued with confusing menu systems. I use data points regularly, which are really easy to add and remove on a smartphone. You don’t need a computer with you. You can download all your maps straight from the Apple App Store or Google Play Store. The maps are current. Any of the decent mapping apps update their information really frequently. They’re quicker and more accurate. The GPS chip in my iPhone 5S is faster and more accurate than in my Garmin Edge 800. GPS speed on smartphones is aided with mobile telephone infrastructure around the world. They have a large screen. Bigger screen equals easier to read. Important when your device is an arms length away. Smartphones are multi-purpose. A smartphone is a phone, email device, photo editor, website editor… the list goes on! They charge quickly. Just one hour in the wall has my phone charged from 0-100%. How Do I Use My Smartphone to Navigate? I make my routes on-the-go, generally as KML files which show my routes as lines on my maps. I sometimes like to mark points of interest at key intersections so that I don’t miss my turns. I tend to use my smartphone more like a paper map, switching it on/off whenever I need to check if I’m still en route and heading the right way. My smartphone screen remains off most of the day to conserve battery – I only switch it on to check where I am. I can go for days without a battery charge if I use my smartphone in this manner! This resource shows you how to import a custom KML map into the Maps.me app (iPhone). What are the Limitations of the Smartphone? Battery life. I could ride for about 20 hours with my Garmin Edge 800 on the whole time. This is not at all possible on a smartphone without being connected to a dynamo hub, solar panel or external battery. Wet weather. Sensitive touch screens become quite useless in the rain. I have a ‘poncho’ for my iPhone which helps when the screen has droplets on it, but is far from perfect. Screen Glare. Sometimes the sun comes in on the wrong angle whilst cycling and makes the glossy screen hard to see. If I do desperately need to check the GPS, I simply pull over and shade the screen. 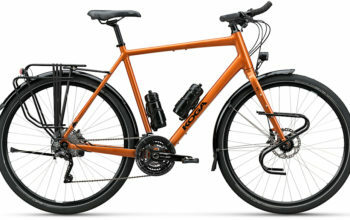 As a bicycle computer. 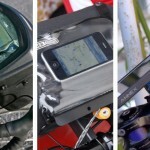 GPS devices often provide all kinds of bicycle computer data, and it’s true that a smartphone can do the same. But… the battery life will really suffer if you do this. 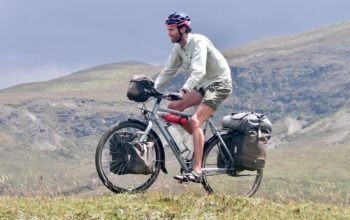 I recommend having a cheap separate bicycle computer for recording ride data. Altitude. Most electronic devices can have spasms over about 4000m. It’s worth noting that I’ve had friends ride the Pamir Highway (5000m) with an iPhone without any dramas. Using my smartphone like a paper map, I’ve found that I use between 10-50% of the smartphones battery per day, depending on how many times the screen is switched on and off. If you have frequent access to power points (not hard in most parts of the world) you’ll be able to charge most smartphones within an hour. 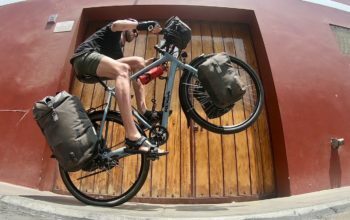 Dynamo Hub Power: I have used dynamo power to keep everything topped up for the last 31,000km, and have just switched to the Tout Terrain The Plug III. 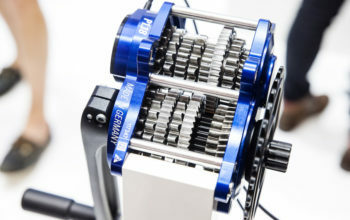 A smartphone charge from the dynamo hub takes just 2-3 hours on the bike. You can read my List of Hub Dynamo Power Supplies for USB Devices for lots more information on hub charging. 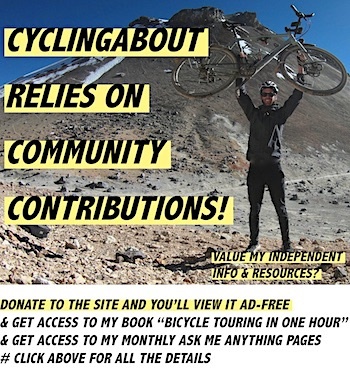 I also have the Ultimate Power Resource: Dynamo Hubs, Solar Panels, Power Supplies and External Batteries which includes information on many different ways you can keep your smartphone charged. I use and recommend Quad Lock products for your bike mounting needs. They’re well designed, super slim, elegant and simple. You can read my review of the Quadlock Smartphone case. 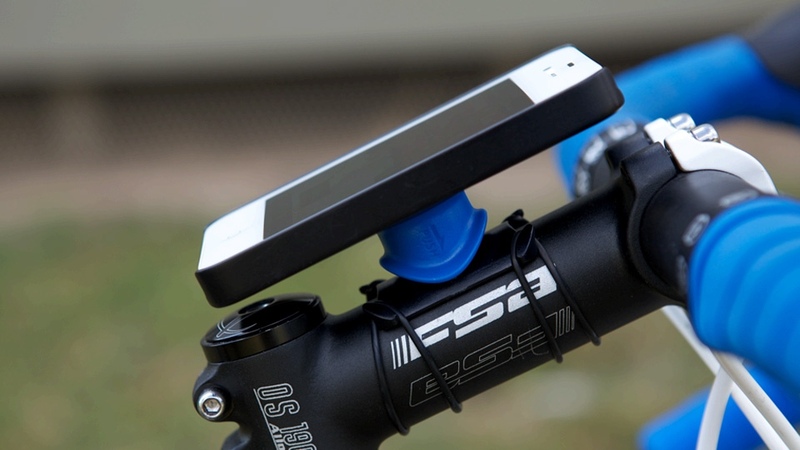 I’ve recently put together a list of The Best Bike Smartphone Cases & Mounts for Cycling. This list features all of the best options available. Some mount on the stem, others on the handlebar itself, some go in front of the stem and others come off the topcap of your headset. Some cases are more waterproof and protective than others. 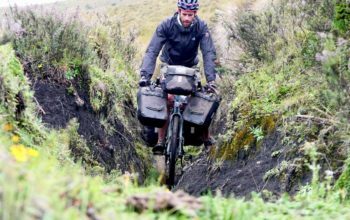 Ortlieb have recently updated their Ultimate 6 Pro handlebar bag to have a waterproof sleeve which allows you to slip your smartphone in and navigate. If you’re using an older Ortlieb handlebar bag, you can get a waterproof sleeve that connects onto the bags buttons. Do You Need a SIM Card to Use the GPS Function? No. Using GPS satellites is free, you’re just receiving a signal. If you have a GPS chip in your smartphone and have downloaded some maps for offline use, you will always be able to find where you are! I don’t recommend using your smartphone as a tracking device, simply because the battery life tends to really suffer. If you really need to, an external source of power will be required to keep you topped up. 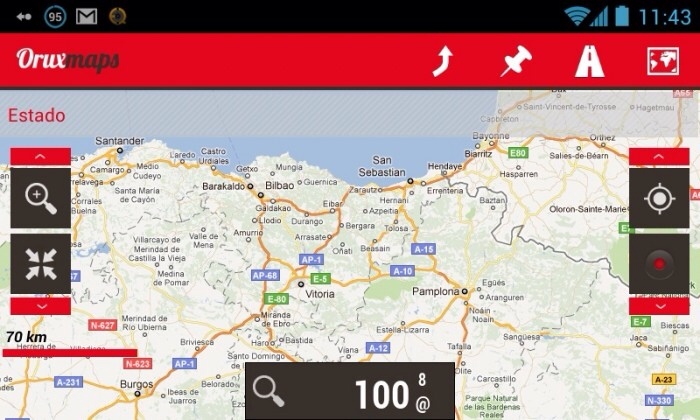 Some apps do require you to use a SIM card for tracking: try Strava, OruxMaps or Pocket Earth. It is possible to buy an Android smartphone which is impervious to dust, water and to some extent dropping, without using a ‘rugged’ cover. Rugged covers, although very handy for delicate smartphones, are often quite cumbersome and reduce the sensitivity of the touch screen interface. Samsung make a phone called the Galaxy S5 Active which is identical in all aspects to the highly popular Galaxy S5, except for the addition of armour and a few external buttons. The standard Galaxy S5 actually has the same waterproof rating of IP67 certification (submerged at 3 feet for 30 minutes), so if you’re not after the rugged form, this phone will fit the bill. Sony make a model called the Xperia Z3 (compact version available too) which has an even more impressive IP65/68 certification (submerged at 5 feet for 30 minutes). That said, in terms of ‘ruggedness’, the Sony is more on par with the standard Samsung Galaxy S5 than the Active. Apple unfortunately do not produce a waterproof/shockproof phone yet. It is possible to use tablets and iPods for navigation, especially if they have a GPS chip built in. If they don’t, there are plug-in products available to allow you to locate satellites. 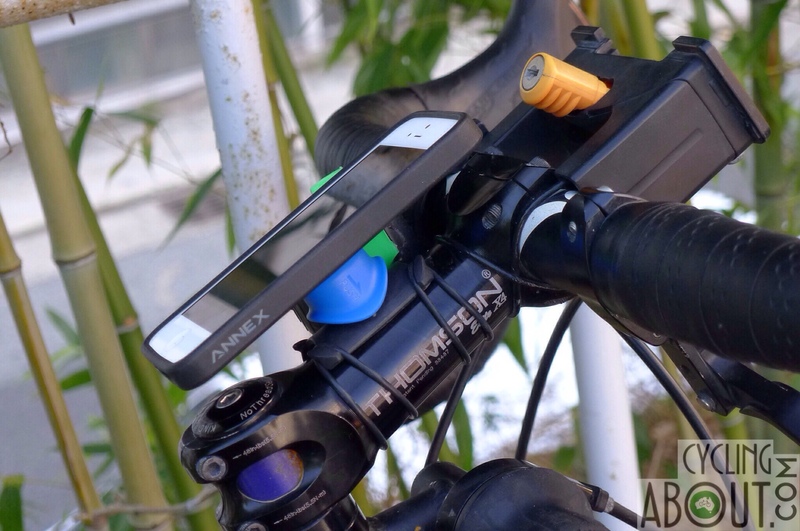 You can connect tablets to your bicycle with the Quadlock Universal mount.. 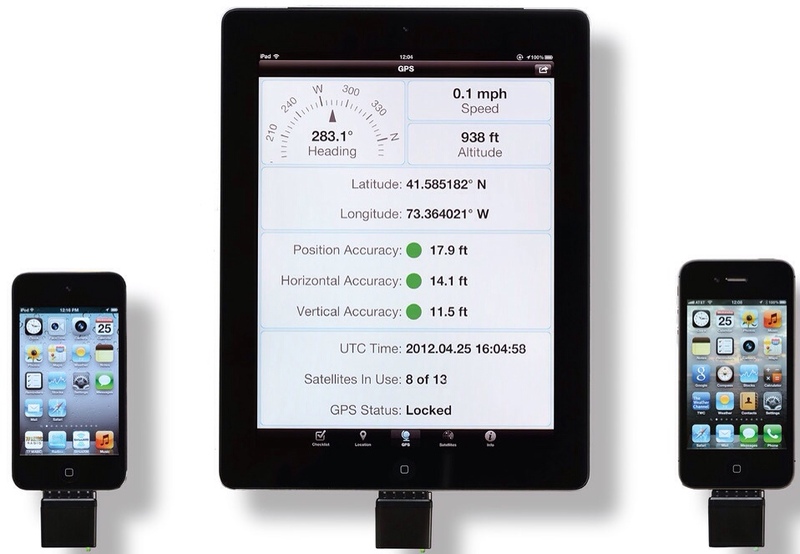 I purchased this external GPS transmitter for my iPad, but never found it to work as desired. For starters, the Bad Elf only works with a select few apps which I tried, but didn’t find to be as useful as the ones I used and knew. Despite the manufacturer claiming that it could be located by satellites within 45 seconds, this was almost never the case. Cloudy conditions or thin canopies overhead made it even worse, to the point of not being located at all. On a number of tests, I couldn’t be located from the window of a moving vehicle. 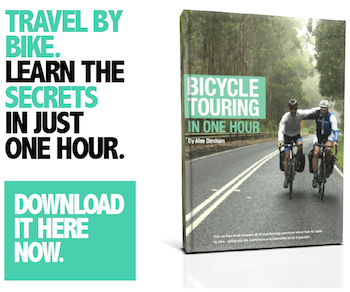 I don’t recommend this product for bicycle touring – the best trick the Bad Elf had was to convincing us to buy a smartphone. OruxMaps often rates as the best offline smartphone mapping app. Apple Maps (iOS): These inbuilt maps are nice to look at, but severely lack detail when compared to Google. Having said that, I have found that Apple maps are sometimes randomly better in rural areas! Like Google Maps, you can set up the turn-by-turn navigation while you are on wifi – it will then be able to navigate you to your destination without an internet connection. 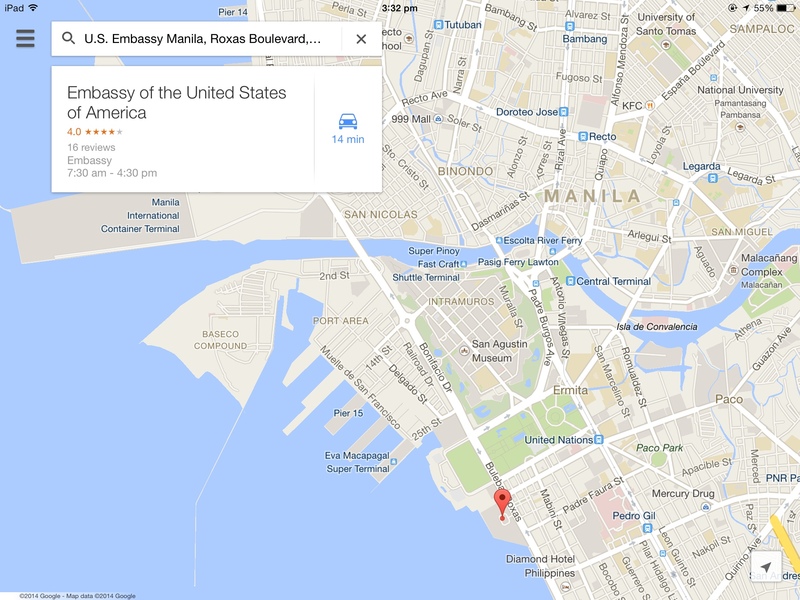 With an internet connection, Google maps is brilliant. Apple Maps (iOS): Like other apps such as Google Maps, you can set up the turn-by-turn navigation while you are on wifi – it will then be able to navigate you to your destination without an internet connection. 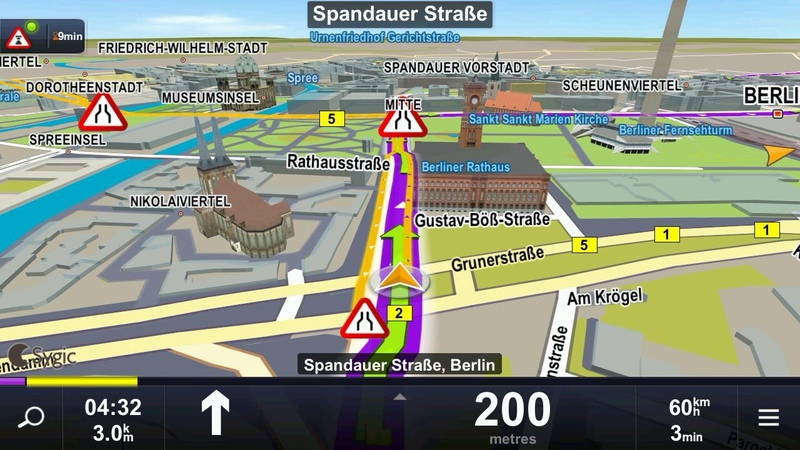 Sygic is a car based navigation app which is great for turn-by-turn routing.